Today, the proud tradition continues with Sterling & Pewter Fine Goods, who haveve been based in “Silver City ” for over 70 years. 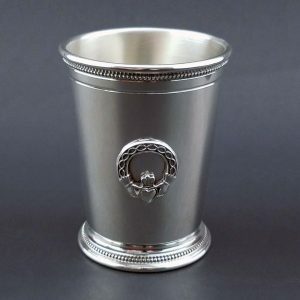 Renowned for their craftsmanship throughout the world, the company produces handsome sterling and pewter designs for your home, business, and special occasions. Today, you too can own a Sterling & Pewter fine goods design, either from their extensive catalog or your own specifications. At the company’s website, you’ll see an impressive array products crafted in both silver and pewter, including flatware, barware, trophies and awards, and more. Pictured is their Sterling Silver Mint Julep Cup, also available in pewter. Handmade in Connecticut to your exact specifications, these elegant julep cups are a one of a kind gift or gesture of recognition and appreciation. If you or your company is seeking a specific design, Sterling & Pewter Fine Goods welcomes your inquiry. Their experienced craftsmen can expertly transform your idea from concept to reality in spectacular fashion. To start, view the company’s website and explore the “Collections” tab and their informative blog for buying guides and customization ideas. You’ll begin to understand the high level of quality and detail in each of their works … and you’ll be proud to be the beneficiary of decades of talented workmanship. We’re so proud to feature this quality Connecticut company on State Gifts USA. Visit them online to discover all they have to offer! CT River Candles: Haddam, CT is located in the south central part of the state, about a half hour from Hartford on the west bank of the beautiful Connecticut River. This river is the inspiration for the products of a thriving small Connecticut business we’re pleased to introduce to you … CT River Candles, creators of small batch 100% natural soy wax candles and related products. 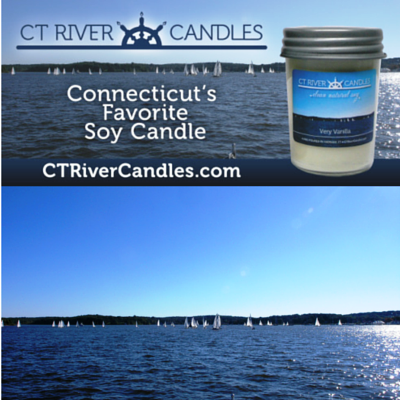 Room sprays, Soy Melts, and Candle Accessories are just a few of the many products you’ll find by clicking through to the CT River Candles website. 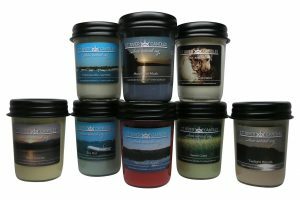 You can even find Pet Odor Eliminator Soy Candles which rid and freshen any living space from “wet doggie” smell! In business since 1957, Mystic Knotwork is located in the historic downtown area along the Mystic River. Be sure to stop in whenever you’re in town as inventory is always showcasing new and interesting designs. If your travels aren’t bringing you to the area, feel free to browse and shop online! Connecticut Blanket: We love promoting and supporting projects designed to spotlight specialties from a particular state. Connecticut, as you may know, is a largely rural state as you move away from the coast. Farms of all sizes and focus dot the state’s landscape and many unique products are produced and marketed. 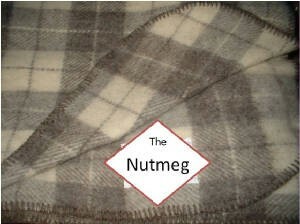 A wonderful Made in Connecticut gift idea that’ll be appreciated by anyone who likes to keep warm! Meb’s Kitchenwares: This small family owned and operated business is perfect for those seeking a unique gift that truly says “Connecticut”. 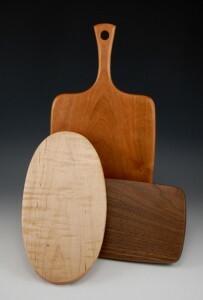 Based in Woodstock, a small rural town in the northeast corner of The Constitution State, the company crafts handsome, practical kitchenware from local New England hardwoods. Cutting boards, utensils, accessories, and bowls are just some of the items to choose from at the Meb’s Kitchenwares website, Click on the “Catalog” icon and you’ll see the different categories. From there you can choose your preferences and order via PayPal. Great gift ideas direct from Connecticut! 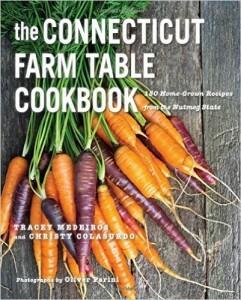 Beautifully photographed, the Connecticut Farm Table Cookbook takes the reader on a culinary journey across the state. 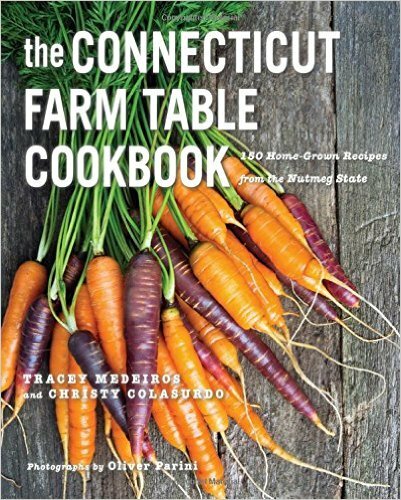 Local ingredients are prominently featured, including fresh seafood and the output of Connecticut’s fertile farms and bustling sugar shacks. 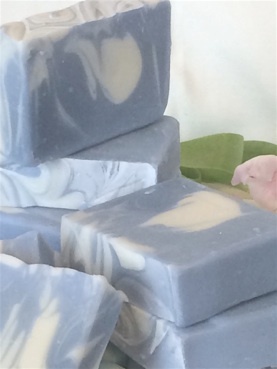 Goatboy Soap: This family owned and operated New Milford, CT business was founded by Lisa Agee, who has proudly developed a product line using all natural ingredients. Did you know many goat milk soap makers use powdered milk, lard, and preservatives in their soap? Goatboy Soap features only ingredients good for your skin, like fresh goat milk, coconut oil, shea butter, and olive oil for moisture. The family raises and maintains their own herd of dairy goats and create a wide variety of soap scents just perfect as a personal gift directly from The Constitution State. Blackberry Sage, Cool Water, Honey Oatmeal, Hydrangea, and Spearmint Eucalyptus are just a few of the bars you’ll find available at the Goatboy Soap website. You’ll also find lotions, lip balms, and multi bar gifts sets at the online store. 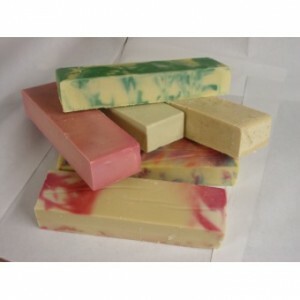 They sell the soap in logs too, a great economical option! Simply cut off a new bar from the log when you’re ready! 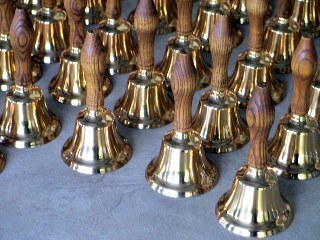 Bevin also produces custom specification bells, so if you need something special, they’ll help you out. 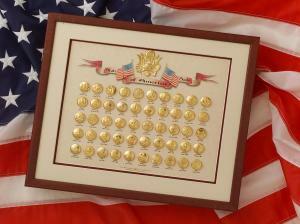 The company rebounded from a devastating fire in 2012 and is once again producing fine quality American made bells. Nod Hill Soap: Based out of Wilton, CT, Nod Hill Soap is driven by the creative energy of Catherine Romer, who started her business in 2009. Motivated to create soap with beautiful scents and rich, luxurious lather, Catherine creates a line of soaps exceptionally gentle on your skin, along with body lotions, lip butters, facial toners, and a variety of scented sachets and room sprays for your home. They’re available online in many different scents like Honeysuckle Orange, White Tea & Ginger, Sweetheart Rose, and Lavender to name a few. Catherine also creates custom guest soaps, party favors, and gift baskets – a perfect idea for teacher gifts, wedding showers, or any number of special events. Connecticut Magazine: If you’re looking for an affordable Connecticut themed gift that’s sure to be appreciated, consider a gift subscription to the state’s premier lifestyle publication. For over 30 years, Connecticut Magazine has provided the best in dining, entertainment, features, and spotlights on everything happening in The Constitution State. Click through to their website where you can order a subscription online for yourself or anyone on your list. 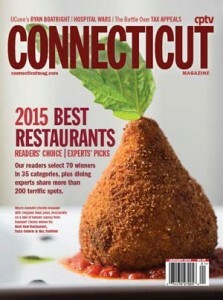 Connecticut Magazine is an excellent resource for visitors and locals alike – we found it extremely useful on our recent visit to Hartford and beyond! 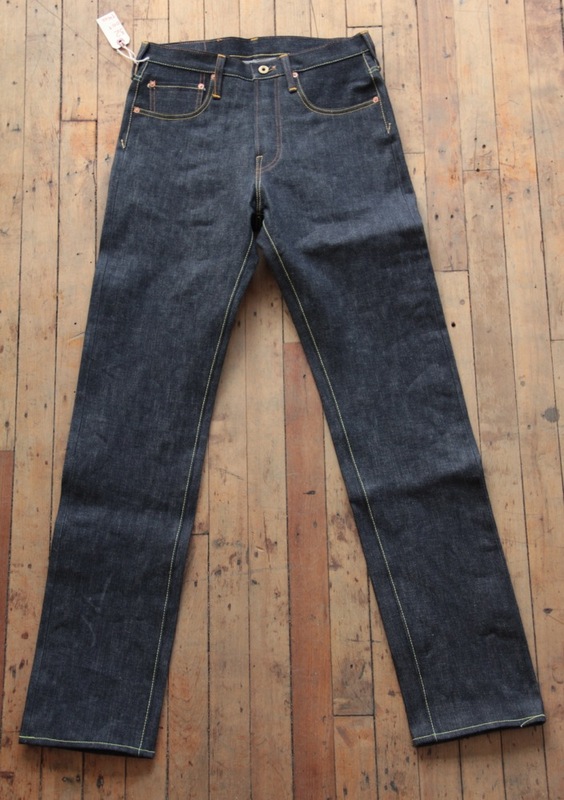 Hartford Denim Company: This spirited, fun company out of Hartford makes built to last denim jeans and other interesting items made from denim like backpacks, shop aprons, and tote bags. They are so confident about the durability of their products that they offer lifetime repair if something should go wrong. Woodbury Pewter: One of the world’s most recognized pewter product manufacturers in the world is based in Connecticut … Woodbury Pewter. They’ve been around since 1952 and offer hundreds of pewter items, from formal decor to award and recognition items. The picture depicts the State Seal Set, available at their website … it’s a collection of 50 buttons, each with a different official state seal embossed. The date when the state achieved statehood is listed underneath. A fantastic keepsake for kids and historians! Visit the “Shop” page at the Candlewood site where you’ll find their entire coffee selection. Choose from ground or whole bean coffee, single serve cups, and bulk and green coffee. 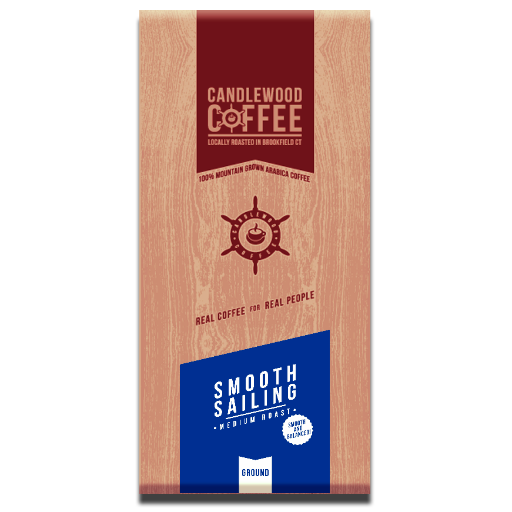 If you live in the area, Candlewood Coffee is pleased to arrange local service to your business in select Connecticut towns – check their site for complete details. 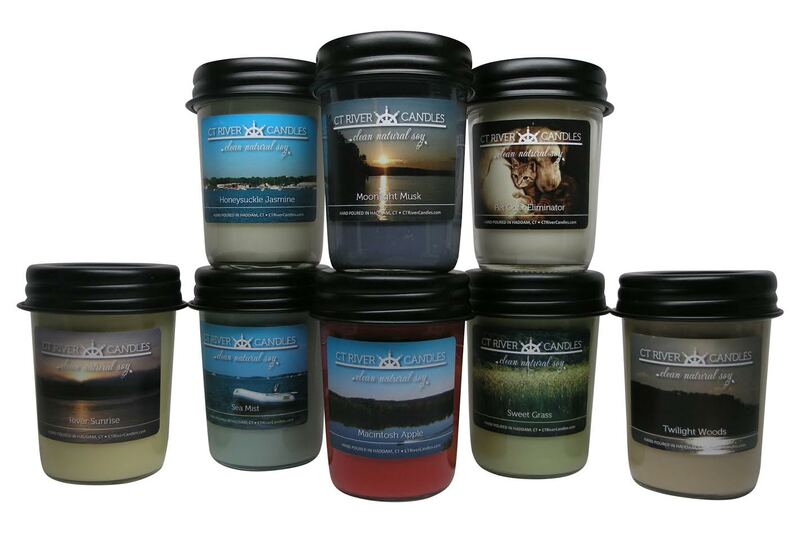 We’re proud to feature this vibrant local Connecticut business here at State Gifts USA! Grill the hot dog, steam the bun, add some mustard and onions, and you’ve got yourself a delicacy! Zuppardi’s APizza: Pizza is big business in the USA, and the various styles of this beloved meal each have their passionate devotees. Chicago deep dish, Detroit square pizza, New York style are all at the tip of pizza lover’s tongues. 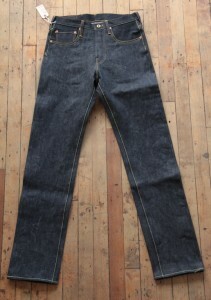 Another specialty style that’s beginning to branch out from its roots is New Haven style. New Haven style pizza refers of course to New Haven, CT. Typically, this type of pizza is baked in a coal fired oven at very high temperature and sold whole (vs. by the slice). It’s slightly thicker and crispier than New York style, but nowhere near as thick as Chicago deep dish. A “plain” pizza of this style means a dough crust with tomato sauce, oregano, and a little bit of grated romano cheese. Mozzarella cheese is only added if specifically requested. Chopped clams are a common ingredient – this type of pizza was invented in New Haven and is still a beloved local specialty. In the old Italian-American neighborhood of New Haven, pizza is known as “apizza”, pronounced “ah-beets”. 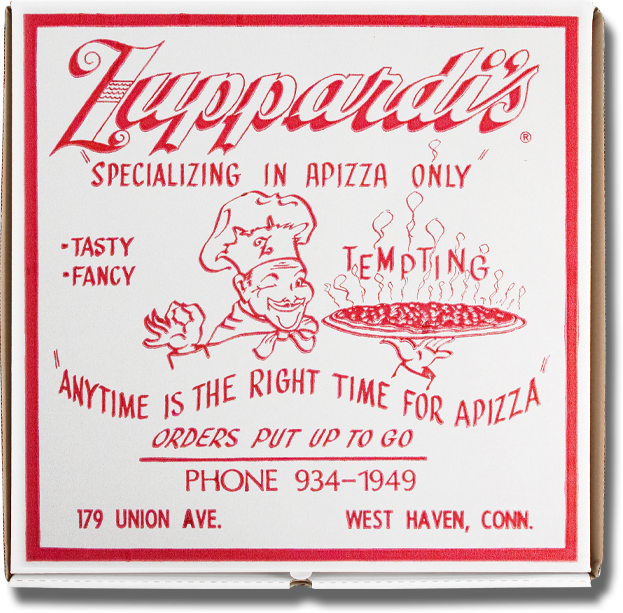 One of several legendary pizza joints in the city is Zuppardi’s, which has been around for over 80 years. For those of us who don’t live in Connecticut but crave a New Haven style pizza, pickings are slim although there are a few places scattered across the country in bigger cities. 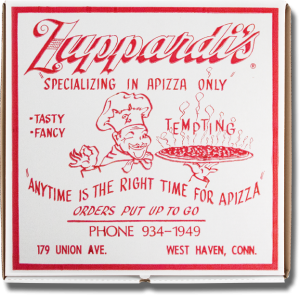 Zuppardi’s, though, will ship authentic New Haven style pizzas (or should we say “apizza’s) to you via their website. 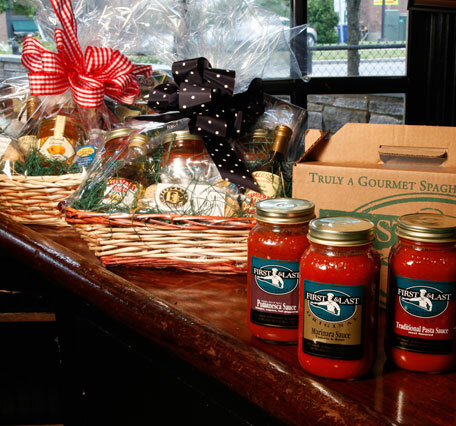 They make a wonderful Made in Connecticut gift – perfect for anyone who likes to mangia! 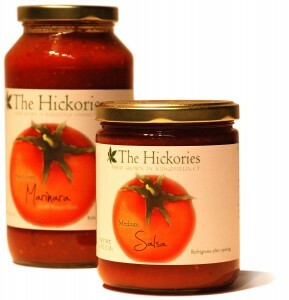 The Hickories: We’re pleased to introduce you to this local ecologically responsible vegetable farm located in southwestern Connecticut. The Hickories is largely supported by CSA shares (community supported agriculture) which allows are residents to share in the farm’s harvest. The farm produces organic fruit and vegetables, pastured meat, seedlings, flowers, and more. They also create table ready products from their harvest, like the salsa shown. Buying a CSA is a great way to support local farms and helps your local food supply chain thrive! At their website, you can learn more about the vision of The Hickories and this unique farming model. You can also visit their online store where you can order their available products for yourself or as a gift. Fresh from The Constitution State! So named because it’s literally the first tavern you’ll see upon entering Hartford and the last you’ll see when leaving the city, First & Last is renowned for their fantastic casual Italian menu, particularly their sauces. They’ve become so popular with patrons from across the country that the tavern sells them online in gift baskets at their website. 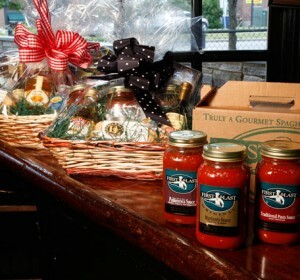 You can order quarts of their Traditional Puttanesca, and Marinara sauces via the link above. 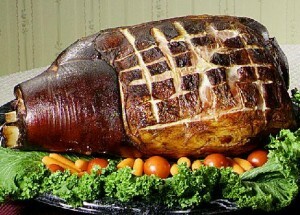 Hearty and flavorful, we thoroughly enjoyed tasting them during our meal there and you will too! A real taste of historic Hartford … the First & Last Tavern! 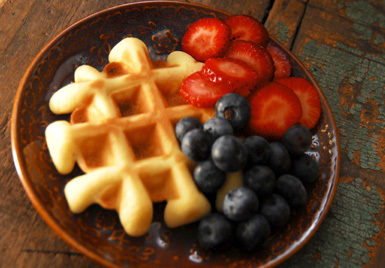 Sweet and deeply satisfying on their own, waffaloons are also great served with a few spoon fulls of fresh fruit, as shown, or with the syrup of your choice. For dessert, top them with a scoop of ice cream for a special treat! A really unique and tasty gift from The Constitution State, you can order waffalloons directly at the Andree’s Waffalloon website in packages of 12 or 24. They freeze beautifully too! A gluten free version is also available for those with a dietary restriction on wheat. Enjoy! 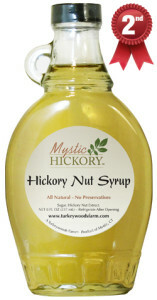 Mystic Hickory Syrups: You’ve heard about maple syrup, but what about hickory syrup? The farm is also the only producer of hickory nut syrup, which is gleaned from hickory nuts gathered in the fall and hand cracked. This delicacy offers a sweet, nutty flavor that contrasts with their flagship shagbark hickory variety. Recognized with awards from the Connecticut Specialty Foods Society, Mystic Hickory Syrups are beautifully packaged and make a great gift direct from The Constitution State. 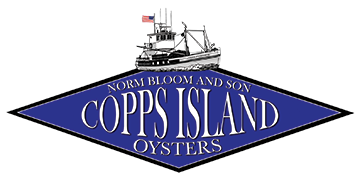 Norm Bloom and Son LLC are one of the best and most reliable shippers of these fresh seafood items you’ll find from Connecticut or anywhere in New England. Each order is packed in ice and includes a shipping tag informing you of exactly when and where the oysters were caught. Little Neck and Top Neck Clams can be purchased in quantities up to 200, and Cherrystone Clams up to a 50 count. Lobsters range from 1.25 to 1.5 pounds and are shipped on the same day they are caught in foam lined boxes with ice packs. 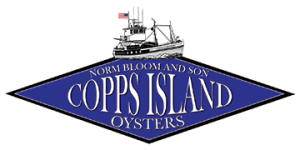 You simply won’t find fresher Connecticut seafood! 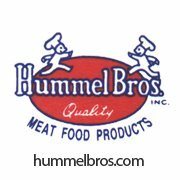 Visit their website for point and click ordering! Maple apple sauce and maple barbecue sauce are also on their list of products. 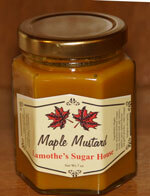 Everything maple, made and produced right here in The Constitution State! 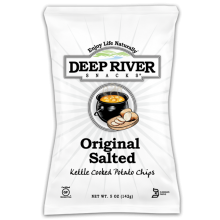 Deep River Snacks Potato Chips: If you like a crisp, crunchy kettle cooked potato chip, you really should try Deep River Snacks Original Salted Kettle Cooked Chips (pictured). They stand up to dips as well or better than any chip we’ve tried, and we’ve tried a few (call it a hobby of sorts!). But these chips don’t need a dip to taste good … right out of the bag is just fine! 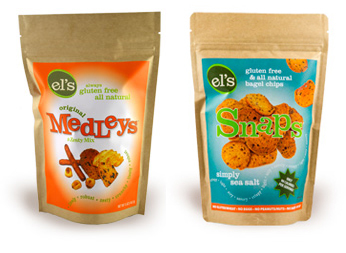 Deep River Snacks is based in Old Lyme, Ct. They offer eleven different flavors of chips and several other types of snacks like tortilla chips, crisps, and popcorn … order some at Deep River Snacks. RIPE Craft Bar Juice: This Connecticut company takes making cocktails to a new level with an array of fresh squeezed always cold cocktail mixes for creating all sort of interesting adult beverages … classic and cutting edge. You can also cook with these juices. Some of the varieties include bloody mary , agave margarita, agave mojito, and Caribbean style punch … is it happy hour yet?? Woodstock Hill Preserves: Since 1979, Woodstock Hill Preserves has been making unique varieties of jams and preserves in the quiet northeast corner of Connecticut. 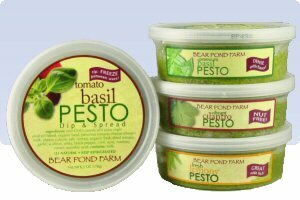 Bear Pond Farm: This organic farm in Glastonbury, CT is known for their pesto dips and sauces, available in a variety of blends. Choose from several flavors like fresh lemon, tomato basil, and cilantro. Bloody Bold Bloody Mary Mix: If you like a good slightly spicy (but not too spicy) bloody mary, I’m happy to introduce you to Bloody Bold bloody mary mix, made in North Branford, CT. You can find it at liquor stores in most eastern states, or just buy it online at their website. Bloody Bold is an all natural mix that won’t thin out when alcohol and ice are added … the net result is a thick, satisfying cocktail, perfect for tailgate parties or to start up a weekend party! Holly’s Oatmeal: You do remember your mom telling you to eat your oatmeal, right? Fortunately, Holly’s Oatmeal of Torrington, CT solves the taste problem in a big way with eight different unique, satisfying flavor blends. Choose from oatmeal like Currantly Sunny Honey, Triple Fruit Berrylicious, Goji Berry, Apricot Maple Nut, and more. You can order online and then start eating your oatmeal! Nodine’s ships anywhere in America. They carry all sorts of interesting smoked meat, cheese, fish, and game. Take a gander at the Nodine’s website and you’ll see sausages you rarely see, like Swedish potato sausage and traditional English banger sausage. They even sell dog treats! Help support a small independent Connecticut business … place an order at Tina’s site and sweeten up your life! Ned’s Island Oysters farms these plump delicious Blue Points according to demand and ships them across the country in stay cool packaging. The oysters aren’t available every month of the year (check their site for details), but when in season, you can have them shipped right to your door. You can buy any of their products singly or in a gift pack from their website. See what creative flavors they’re developing next at WindingDrive.com! 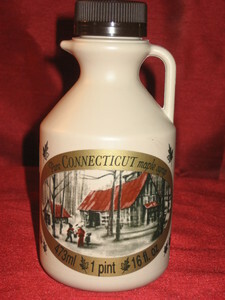 You can buy Grade A 100% Pure Connecticut Maple Syrup here, as well as maple candies, local honey, and other gourmet food products produced on site … a wonderful gift from Connecticut! You can use any of their products to create a wonderful meal with minimal time in the kitchen. 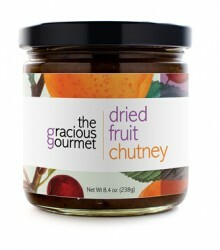 Try the dried fruit chutney on a piece of tilapia or salmon, or use it as a glaze for pork roast. The lemon artichoke pesto is about the best thing you can do to a pork chop ever … it has just the right amount of garlic to complement the lemon flavor … without question the creamiest pesto we’ve ever tried! For something a little unique, try the fig almond spread. We never were that big on figs but this stuff is fantastic … great on an english muffin in the morning or to spread on chicken breast for lunch or dinner. Best of all, you don’t have to come up with the ideas yourself … the Gracious Gourmet website has all kinds of mouth watering recipes to help elevate your culinary skills to extraordinary! With a motto like “Eat Better, Feel Better” you won’t go wrong with any of Palmieri’s Italian style sauces, like roasted garlic and roasted eggplant sauce, portabella mushroom sauce, and traditional pasta sauces. 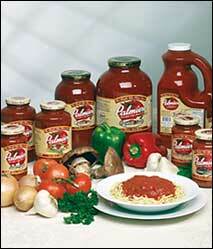 Waldingfield Farm Pasta Sauce: Did you know the Constitution State is known for their excellent tomato crop? The rich soil and climate moderated by ocean breezes creates the ideal environment for growing tomatoes across the state. A great gift from the heart of Connecticut! SuperSeedz: Known as “America’s Tastiest Healthy Snack”, SuperSeedz are created by Kathie’s Kitchen of North Haven, CT.
Pumpkin seeds are tasty, crunchy, high in protein, low in carbs, and naturally vegan. Kids love them and they are one of the healthiest snacks you can serve! 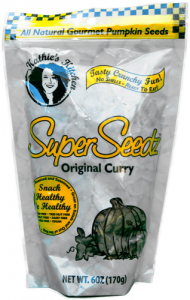 SuperSeedz are spiced with curry (Original Flavor as shown), or unsalted, or dusted with cinnamon and sugar. No matter if you like sweet or salty or spicy, SuperSeedz have got your taste buds covered! The Bridgewater Collection – A Fine Gift! 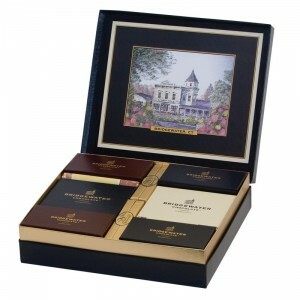 All of their chocolates are handmade, and their caramel is prepared in house. 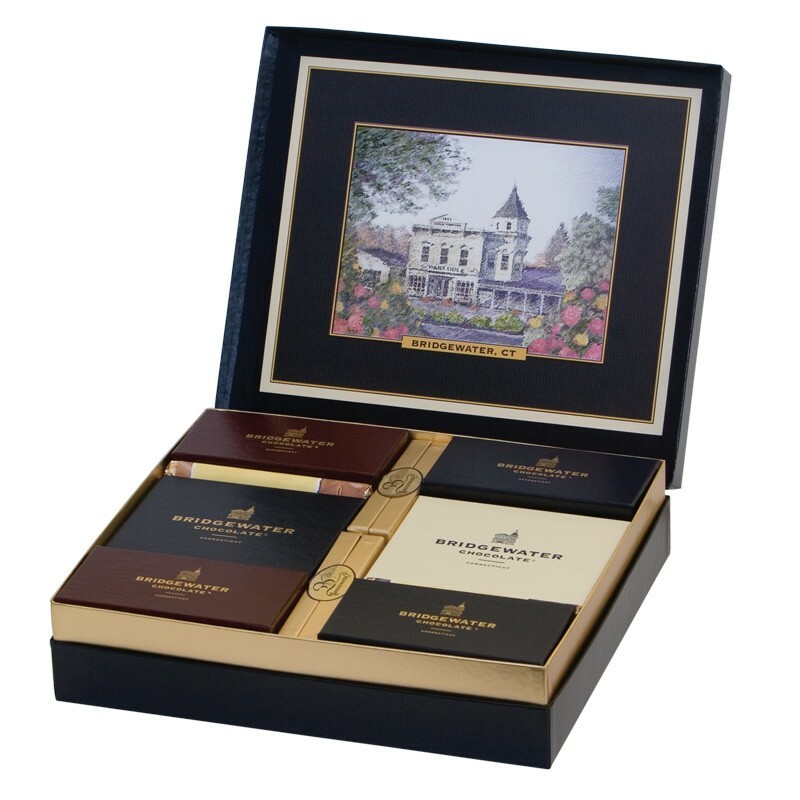 Samplers and gift packages are available, and you can shop online if you’re not near The Constitution State. If you are, visit them at their Brookfield or West Hartford retail locations for a delicacy you’ll never forget! Using fresh seasonal ingredients, Michele’s Pies offers over three dozen varieties in just about every category imaginable. Fruit pies, nut pies, cream pies, and more … they’re all here and best of all, you don’t need to live in the Norwalk area to enjoy them! This innovative pie bakery ships many of their flavors to fans across the United States and even offers a unique Pie of the Month Club, which you can purchase in six or twelve month duration. Blueberry-Blackberry Crumb, Apple Raspberry, Chocolate Walnut, and Banana Cream are just a few of the flavors made fresh daily. Michele’s talents have garnered her pies many National Pie Championship awards, and she’s even written a couple of cookbooks to share some of her secrets. They’re available at the Michele’s Pies website, where there’s also a link to purchase the pies online or sign up for the Pie of the Month Club. A gift that’s guaranteed to please … because … who doesn’t like pie?!? Connecticut Cookie Company: This Southport, CT based business is owned and operated by Andrea Greene, who reignited her childhood passion for baking while pursuing her career in the fashion design industry. Andrea founded the Connecticut Cookie Company with the philosophy of baking every cookie from scratch, just like the small hometown bakeries so prevalent years ago. Coconut Macaroons, decadent Chocolate Chip, and Toffee Crunch cookies are just a few of the specialties you can have delivered right to your door, as a personal gift, special occasion remembrance, corporate gift, or any event at all! 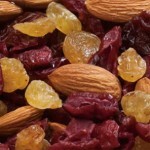 Be sure not to miss their Quick Fix Brittle, which was featured on “Good Morning America”. It’s made with dark chocolate, graham crackers, and sea salt. Try it as a frozen treat! Red Rooster Gourmet Cookies – Yum! Red Rooster Gourmet Cookies: This gourmet cookie bakery has recently received some national press, being touted as having the best cookies in The Constitution State. We’re on board with that assessment! They’re located in Guilford, a town sandwiched between Interstate 95 and the Long Island Sound, east of New Haven. Red Rooster creates some spectacular flavors (44 in all), including one we tried, their Bailey’s Irish Cream Cookies. These gems have Bailey’s baked right in, and yes, they’re equally tantalizing for dessert OR happy hour! Click through and check out all the varieties available – enjoy a taste of Connecticut! Most Italian style biscotti has a hard, crunchy cookie like texture. The recipe used in Sweet Mavens biscotti is modeled around what one would normally find in Milan – a softer textured cake like consistency. And all your favorite flavors are available – Almond Anise, Chocolate, Caramel with Chocolate, Toasted Almond Vanilla, and many more! Sweet Mavens also makes a gluten free variety as well as their specialty baked nuts like Sweet Then Heat Cocktail Pecans, made with cinnamon and a touch of cayenne pepper. Click through to their site to see all they’re baking (hint: try the Meyer Lemon & White Chocolate Biscotti). Sure to be appreciated gifts direct from Connecticut! Biscotti is a crispy twice baked flavored cookie that is typically shaped into about six inch long pieces. 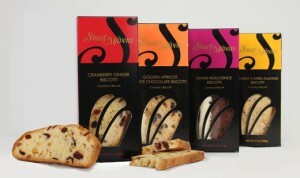 Founder and owner Dina Upton gave biscotti a new twist by baking it into small round bit sized pieces. Hence the name of her company! The Bites Company biscotti is available in three flavors – Almond, Lemon, and Cocoa. Almond and Cocoa varieties are available gluten free as well. You can enjoy these bits right out of the bag … with a cup of coffee or tea … or crumble them over a dish of ice cream like we do! These pies come in a variety of flavors, from the Hi-Top Apple Pie (shown) to strawberry rhubarb, blueberry, cherry, and apple caramel walnut. There’s even a specialty pie called Bumbleberry, which contains apples, cherries, raspberries, blueberries, and blackberries all in one pie! Lyman Orchards pies are famous coast to coast, and you can now order them online either for yourself or shipped to a very lucky recipient. Place your order at the Lyman Store where you can also see their many jams, specialty products, and many wonderful gift baskets to make gift giving a breeze! They are best known for their hazelnut cookies and all their baked goods freeze beautifully … buy and use down the road if you wish! 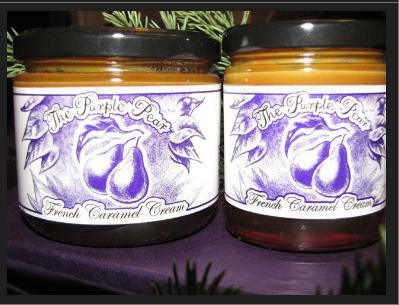 Check out their website to decide which of their scrumptious items suits your taste buds best! The product we tried (and really enjoyed) is Webber’s Original Medium Relish, pictured. It’s got a bit of a bite from peppers (jalapeno?) and it’s very versatile – you can use it on just about anything. It also comes in mild and hot versions, all of which are available for purchase via a linked store on the Warren’s Foods site. The company was founded and is owned by a gentleman named Warren Webber, which is why it’s Warren’s Foods and Webber’s Relish. 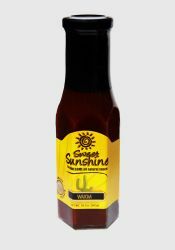 Sweet Sunshine Sweet and Hot Sauces: This small company based in Litchfield makes some really interesting sauces you can use in cooking or as a condiment. Our favorite is the Warm Sauce, so named because it’s infused with habanero and cayenne. Their most popular sauce is simply known as Sweet Sauce, which is great in just about any recipe you can imagine (try it in chili). It’s flavored with mild ancho peppers, so there’s no heat to speak of. Hoardable Hot Sauce: This company was founded in 2010 and is available in five “hoardable” flavors. 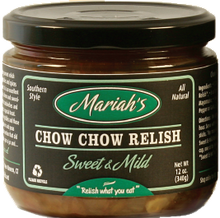 Enjoy Mariah’s Chow Chow on hot dogs, sandwiches, salads, and your favorite recipes … it’ll add a sweet and spicy kick! Four different varieties are available to suit everyone’s taste buds … there’s mild, sweet and mild, hot, and sweet and hot. You can order directly from their website for yourself or as a unique gift made in Connecticut. Go ahead and get your chow chow on! Todd also makes a rub called Almost All Purpose Dry Rub which can be used on, well, almost anything! 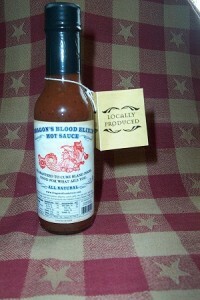 We love seeing small start up companies like this, and let’s face it, there’s always room for great barbecue sauces! 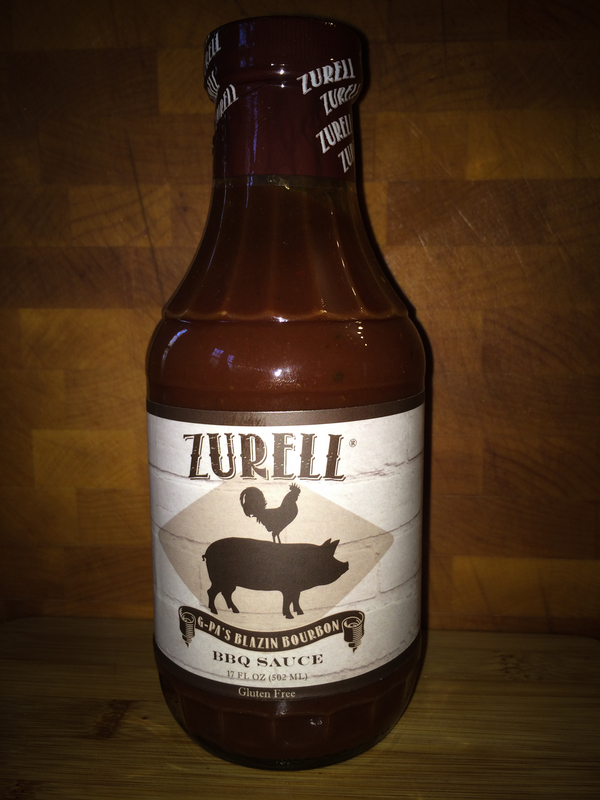 Todd and Zurell BBQ are located in Plantsville, a small central Connecticut community that’s part of the town of Southington. 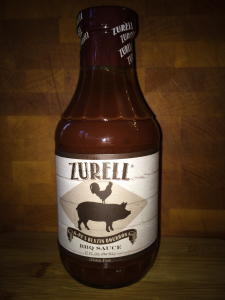 You can order Zurell’s barbecue sauce and Almost All Purpose Dry Rub online via PayPal at his website – a true locally made gift from the heart of The Constitution State! Red Bee Apiary: Red Bee Apiary of Weston, CT was founded and is owned by former international designer Marina Marchese. She trained in Italy and became the founder of The American Honey Tasting Society, which led to co-authoring the definitive guide to American Honey, “The Honey Connoisseur” in 2013. The entire Red Bee philosophy is based on the assertion that honey is a gourmet food with its flavor profile dictated by the flowers visited by the honeybees and other geographical considerations. We at State Gifts USA have been long time honey aficionados, understanding the taste profile of a particular honey stems from its geographical origin – it is why we feature honey made in each state, if possible. 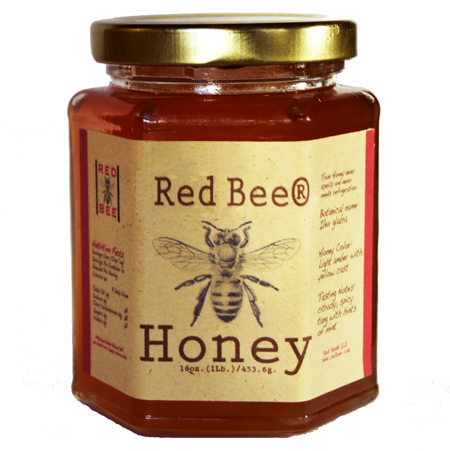 if you’re interested in learning more about honey, you should definitely visit the Red Bee Apiary website, where you’ll discover many compelling facts about honey as well as buy the honey created there and elsewhere. If you enjoy wine tasting or beer tasting, there are striking similarities in the methodology – not to mention a few jars of Red Bee Honey is a wonderful gift from Connecticut for yourself or the foodie in your life! 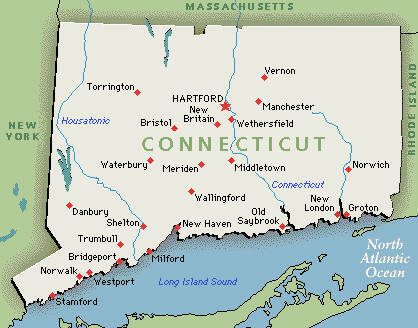 Comment Below About Some Of Your Favorite Connecticut Products! Don’t overlook Hartford on its own, though. This mid size city of 125,000 is actually Connecticut’s 4th largest and the state’s largest city off the coast. Within 1/2 hour’s drive, you’re in the midst of beautiful Connecticut farm fields and rolling hills that capture the essence of the New England countryside. On our trip, we decided to hop on an Amtrak train from Penn Station to Hartford and rent a car in Connecticut. About a three hour journey, it’s a good way to take in the scenery and avoid congestion getting out of The Big Apple by car. 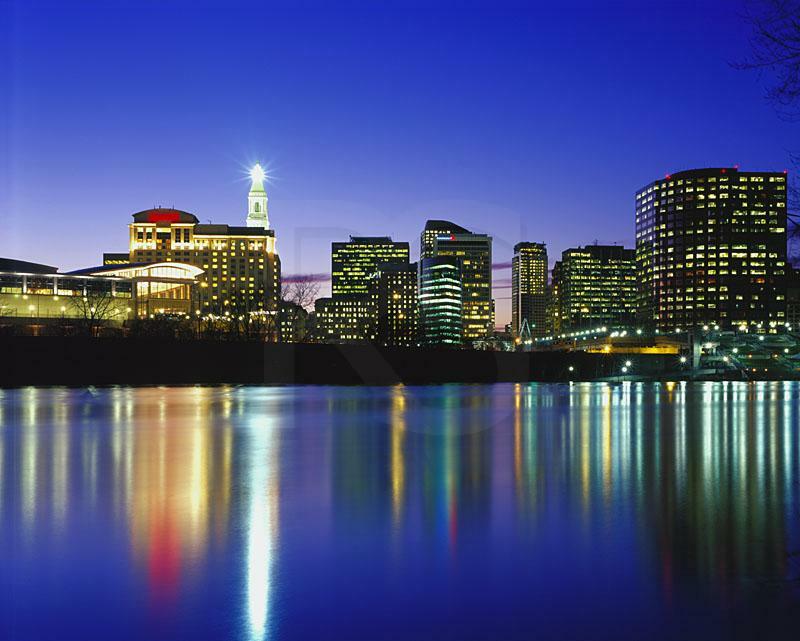 Hartford is fairly easy to navigate and parking around the city isn’t too difficult – we were able to find street or convenient garage parking anywhere we went. Mid Autumn is a particularly fine time to visit this part of the country – the scenery is spectacular! 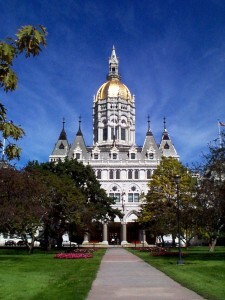 The Amtrak station is very near the State Capitol Building, so if you arrive by train, you can easily take in a visit. Pratt Street is one of the best known streets in the city – it’s a hub for restaurants, shops, and nightlife. In all, you can get a good feel for the city in a day – we arrived from New York well into the afternoon and spent the evening and the full next day in Hartford. You won’t see everything, but you can experience the highlights! Since most of the city’s major attractions are in or near the downtown core, that’s where we focused out energies. After being on the train for a few hours, we wanted to stretch our legs and walk. So, the city’s premier downtown oasis, Bushnell Park, was our first destination. It’s one of the country’s oldest parks and houses an authentic historic carousel featuring 36 hand carved horses. Currently being refurbished, this 100 year old carousel will re-open for the 2015 season. The park features ample green space for a brisk (or not so brisk) walk – when you’re here you’re right at the foot of the impressive State Capitol Building. 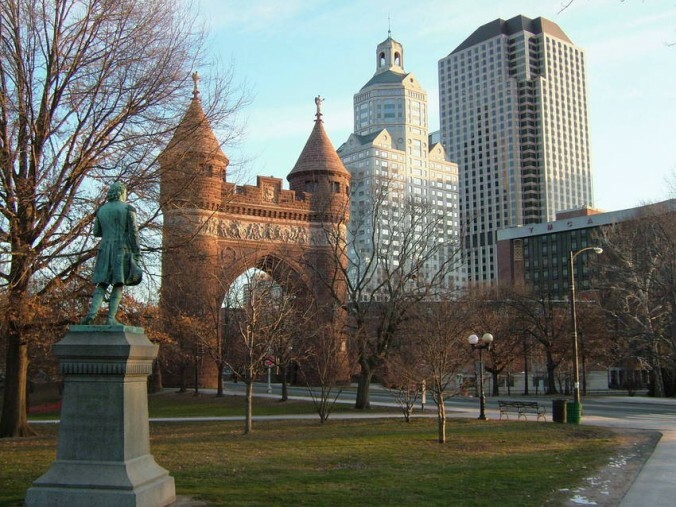 You’ll also see the historic Soldiers and Sailors Memorial Arch, which offers free periodic tours May through October. The Arch was initially dedicated to Civil War veterans and is a cornerstone attraction in the park. Should you really want to get to know the city in a short period of time, we highly recommend a 90 minute Hartford Walking Tour. Led by experienced and enthusiastic docents, the tour navigates through downtown and allows you to experience the sites and events that shaped the city’s history. We hooked into a tour with another group, but you can book a tour with as few as two people directly at their website. Enjoyable and very worthwhile! If you’ve read some of our other State Capital Travelogues, you know our local restaurant choices lean toward local and historic … we know you can find the chain places on your own! Vito’s has a creative but not all that expensive bar menu and a raw bar turning out ultra fresh oysters and clams. The happy hour menu features Vito’s Meatball Sliders (highly recommended!) as well as steamed mussels, and a Pasta Al Forno dish that has been featured on The Food Network. Vito’s is also known for their pizzas and although we didn’t have one, we saw a few going by and sure were tempted! 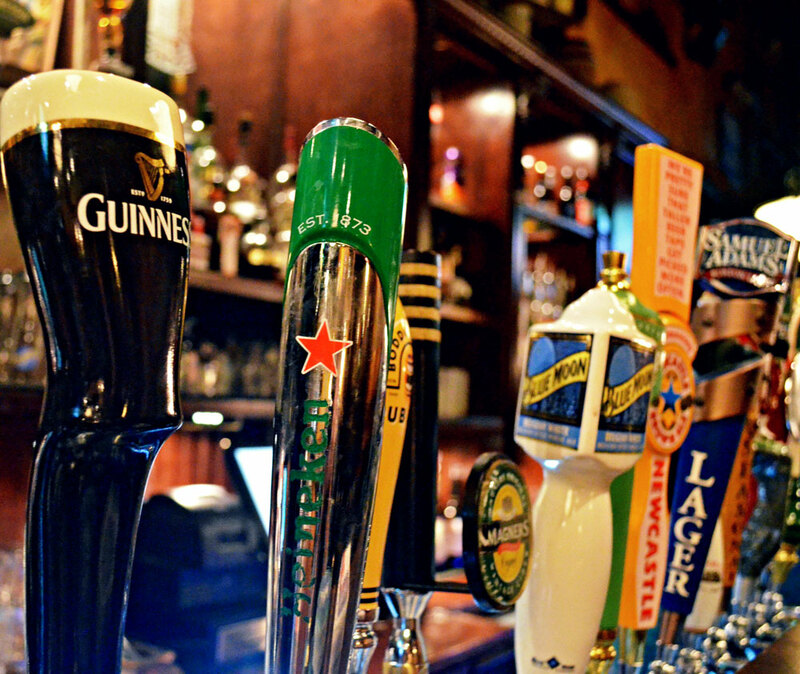 Another place we fell in love with is Vaughan’s Public House on lively Pratt Street. This place plays as a bar, but the food here is really good and freshly made. Do you like Bailey’s Irish Cream? Stop here, because Vaughan’s makes their OWN Irish Cream – we told them they should bottle and sell it! 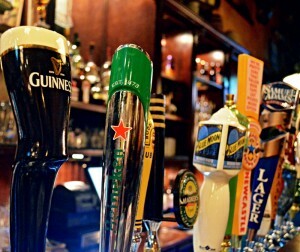 As you would expect from a joint with Public House in its name, Vaughan’s has plenty of great beer on tap. For food, they’ve got an excellent baked potato soup and their burgers and curried chicken salad are top notch! For a casual lunch and an authentic historic Hartford experience, hit up LaRosa’s Marketplace on Brown Street. A combination deli/market/lunch spot, LaRosa’s has been around since 1930 and it’s no wonder – their grinders, panini’s, and lunch specials are fantastic! When we visited, we enjoyed an eggplant panini, Caprese salad, house made Italian sausage grinder, and a bowl of meatball escarole soup. A very casual place, LaRosa’s is an order at the counter and sit down until your number is called type of place. 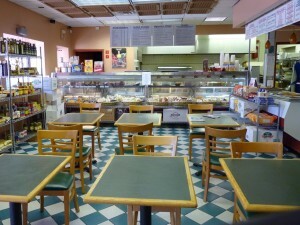 Everybody stops in for lunch – it’s bustling but your food comes fast and it’s fun to watch and mingle with the locals. A must try spot in Hartford! Another terrific Hartford spot for casual Italian food in an historic atmosphere is the First & Last Tavern on Maple Avenue. It’s been around since 1936 and was named for its location near the border of Hartford’s city limits. It’s the first tavern you hit coming into town and the last tavern on the way out! First & Last offers outstanding grinders, pasta dishes, and an appealing happy hour menu. In the nice weather, sit out on their patio and watch the Hartford world go by! 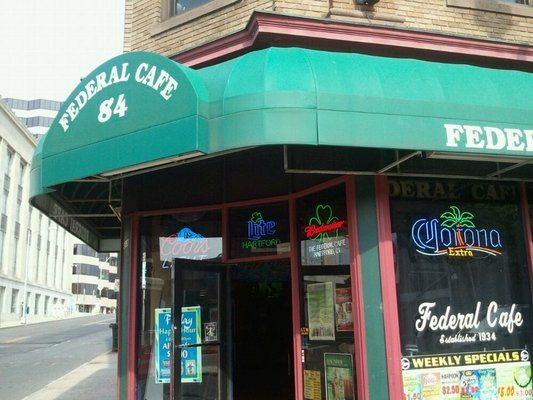 Finally, if you’re a fan of historic taverns like us, stop in at The Federal Cafe, located on the corner of Union and Church Streets since 1934. This isn’t a cafe (it’s a bar), and the locals call it “The Fed”. A dive bar in the best sense of the phrase, The Fed is directly across from the train station. We stopped late afternoon and hung out for awhile. They’ve got drink specials every day of the week and we learned it livens up later at night with live music and DJ’s. Friendly staff adds the cherry atop the sundae! This’ll be one of the first places we stop next time in town … and you should too! 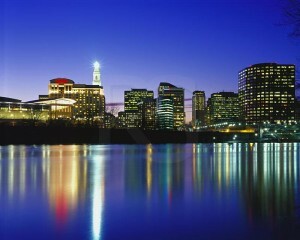 Hartford probably isn’t on many people’s “must visit” list, but it really is a cool town. It’s about as convenient as you’ll find if you want to explore New England, and it combines a dash of history along with a long list of great local food & drink options. You’ll want to spend at least a night here before heading on to other destinations. The city is pretty easy to get around and we encountered many warm, friendly locals. We also learned that a walking tour is a great way to learn about a city! It’s something we hadn’t pursued in years and now it’s near the top of our list. We also like how the city is working hard to rebound from economic distress. Redevelopment (in a good way) is taking place and a new arts district near downtown is taking shape. Hartford, like many cities, has its problems to be sure, but we’re more inclined to look for the good things in a city and we hope we’ve offered up a few of them here!